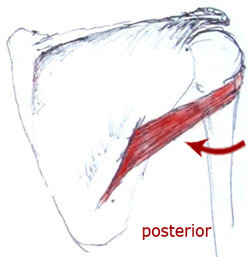 The test is the same as the infraspinatus muscle. Abduct the arms and bend the elbows bent at 90 degrees. Place your hands on the outside of their arms. Encourage gentle force that opens their arms and externally rotates them. 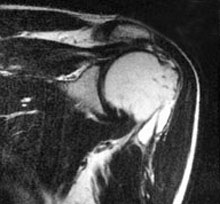 The occurrences of rotator cuff damage increases with age commonly due to degeneration and general weakening of the tendon.